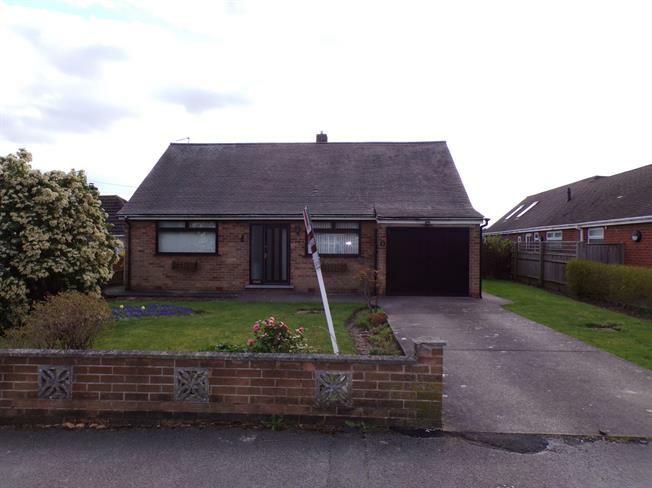 3 Bedroom Detached Bungalow For Sale in Nottingham for Offers in the region of £250,000. No chain is offered on this bungalow within walking distance to the village centre. Early viewing advised. Accommodation comprises of entrance hall, Lounge diner with patio doors to the garden. Kitchen diner, rear porch and stores. Three bedrooms and family bathroom. Door to the front. Radiator and cloaks cupboard. UPVC patio double glazed doors opening onto the garden. Double glazed UPVC window's facing the rear. Radiator. Single glazed wood window facing the rear. Radiator. Roll top work surface, wall and base units, stainless steel sink with drainer. Plumbing for washing machine. Storage cupboard and pantry. Door to the side and store. Double glazed wood window facing the front. Radiator, fitted wardrobes. Double glazed wood window facing the front. Radiator. Single glazed wood window facing the side. Radiator. Double glazed UPVC window facing the side. Radiator. Low level WC, panelled bath, shower over bath, pedestal sink. To the front of the property there is a mature garden with a wide range of borders, shrubs and trees. Off street parking leading to the garage. To the rear of the property there is an enclosed well stocked mature garden which is laid mainly to lawn with patio area.